A tribute song to a little dog who suffered so much in his short life. Rest in peace sweet boy, you will never be forgotten. So what then can we do? On Fri 17th September between the hours of 12am and 5am, someone left this poor dog outside the gates of Whitehall wrapped in an orange sheet. They made no attempt to call or knock on the door to alert us to the fact he was there. Sadly Brian found him dead in the early hours of the morning. Had somebody alerted us, maybe we could have saved him. The unbelievable suffering this dog has had to endure has shocked all of us within the rescue. We have called him Jack, we thought he deserved a name at the least. Jack had been severely starved. His dew claws were so long they were growing round and into his pads. He has pressure sores on his side probably because he has been far too weak to move. 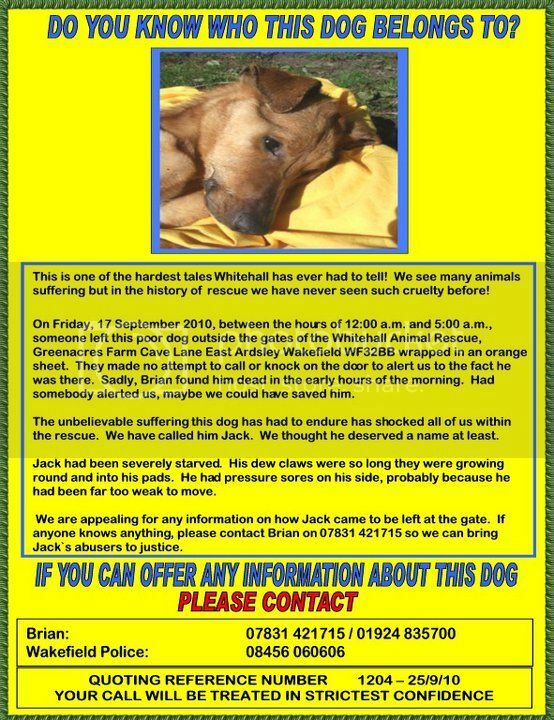 We are appealing for any information on how Jack came to be left at the gate. If anyone knows anything please contact Brian on - 07831421715 so we can bring Jack's abusers to justice. 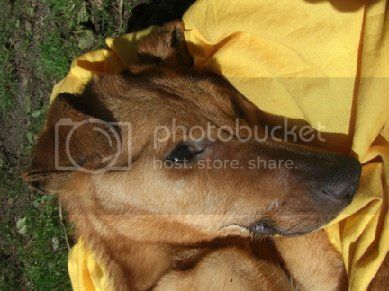 The photos you have seen are upsetting and shocking, but we as a rescue decided to show them. We feel it is important that people know the true extent of what we have to face within rescue. There are many dogs currently waiting on death row at the dog pound. We have taken in as many as we have space for but without rehoming some of the dogs we currently have, we have no choice but to leave many dogs. Hundreds of dogs will die everyday in the dog pound. They will not be fed on their last day and will go to their deaths hungry and alone. Please help us by adopting a rescue dog and not buying a puppy. For every dog we rehome, another is saved! 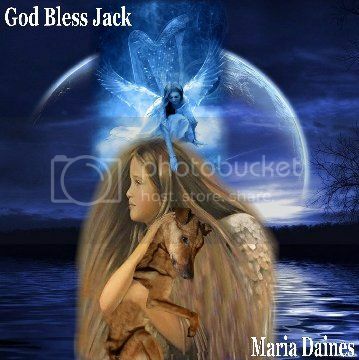 Our thanks to Janice Tyrrell for the wonderful art work for God Bless Jack.